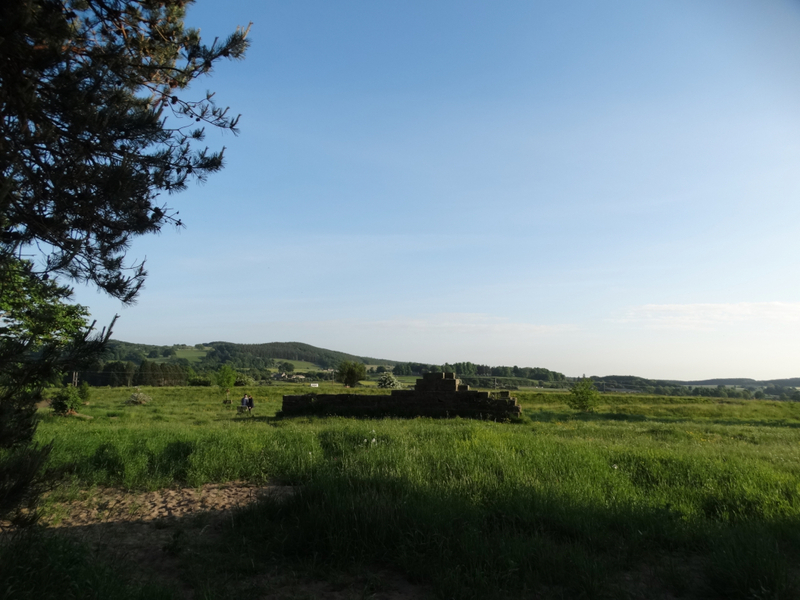 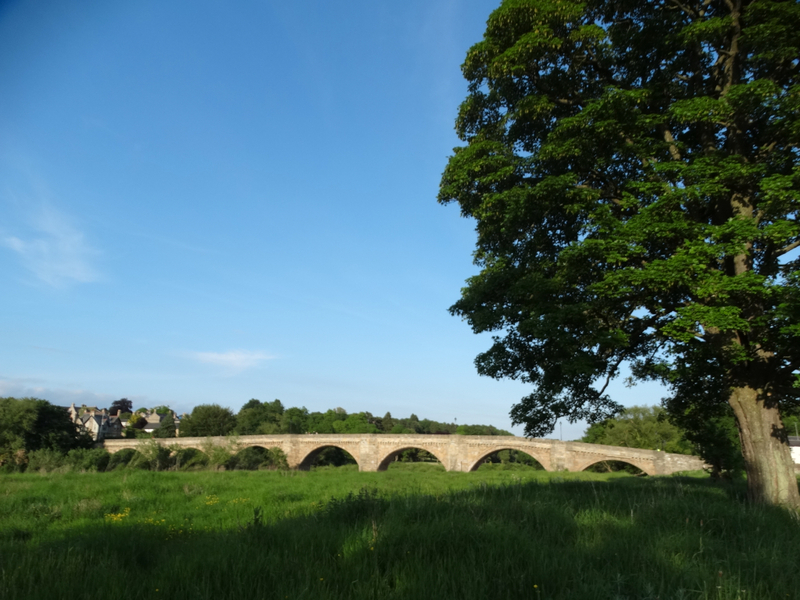 An evening walk of 2½ miles beside the Tyne at Corbridge as I wanted to see the remains of the Roman bridge slightly upstream from today’s bridge. There are two websites which give more details this one and this one. The first bridge was probably built of timber and a stone bridge was built c AD 160. It was destroyed by a flood and rebuilt at the end of the C4. In 2004 there was an excavation and 300 blocks of stone were re-assembled away from the river (to protect from erosion). 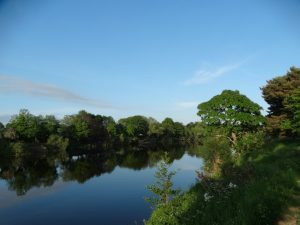 The road approached from the east, on quite a gentle gradient, before crossing the river, probably on 11 arches, 9 metres above the river. 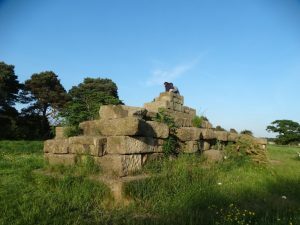 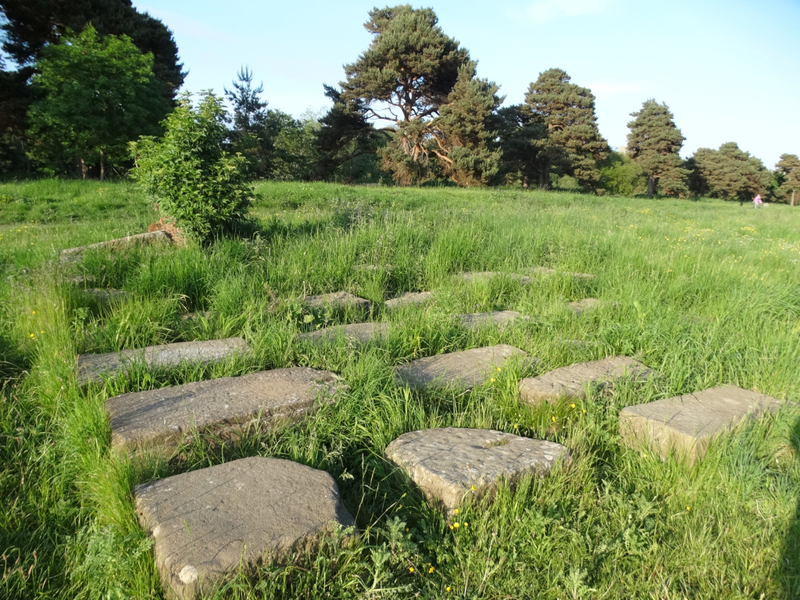 According to a leaflet I picked up somewhere, “The stone blocks which form the wall are an excellent example of opus quadratum, a Roman technique of construction used for major engineering works. 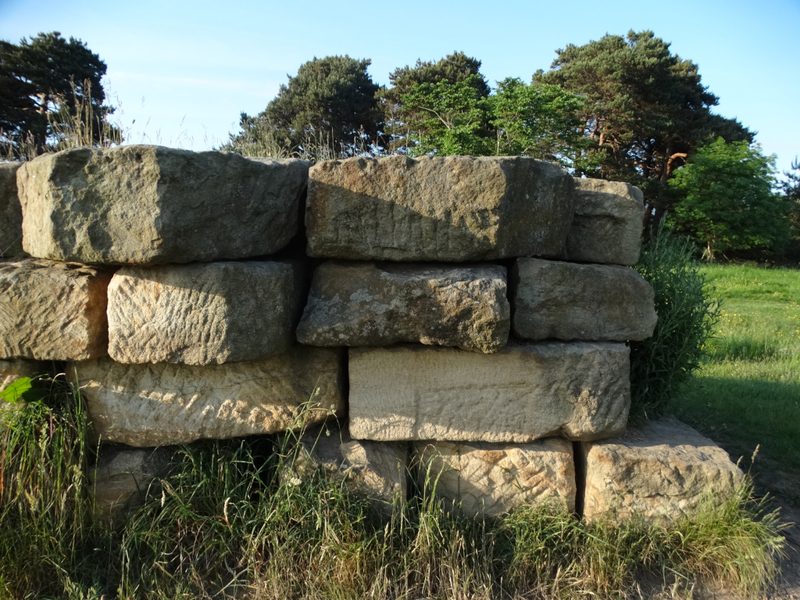 The blocks were fitted together with very narrow joints and without the use of mortar. 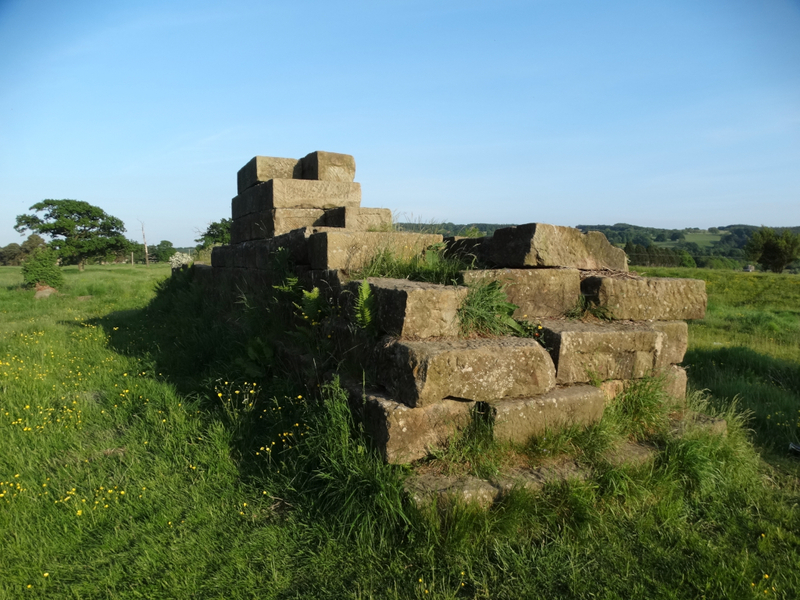 … Some of the upper surfaces have lewis-holes for the insertion of lifting devices, showing that cranes were used in the building of the bridge, and slots to take the ends of the crowbars which were used to lever the blocks into position.” It was topped with an elaborate stone parapet. 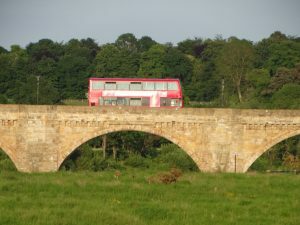 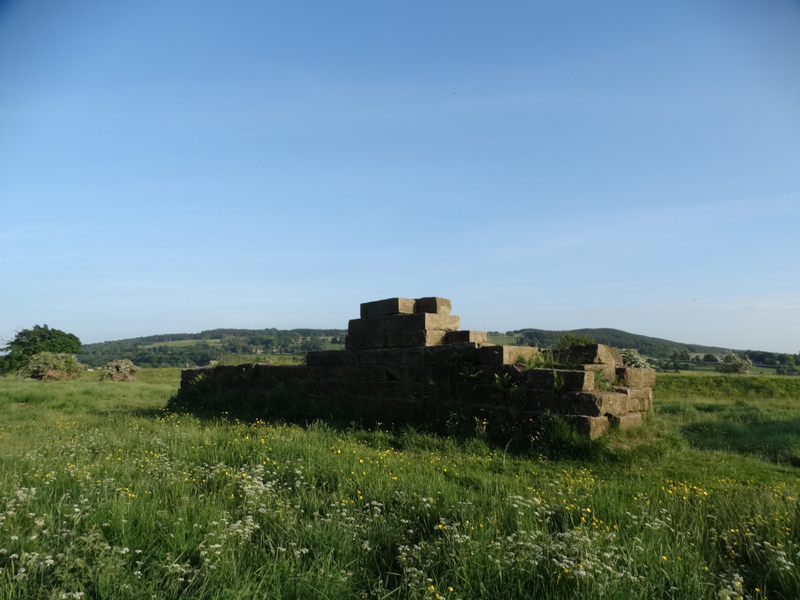 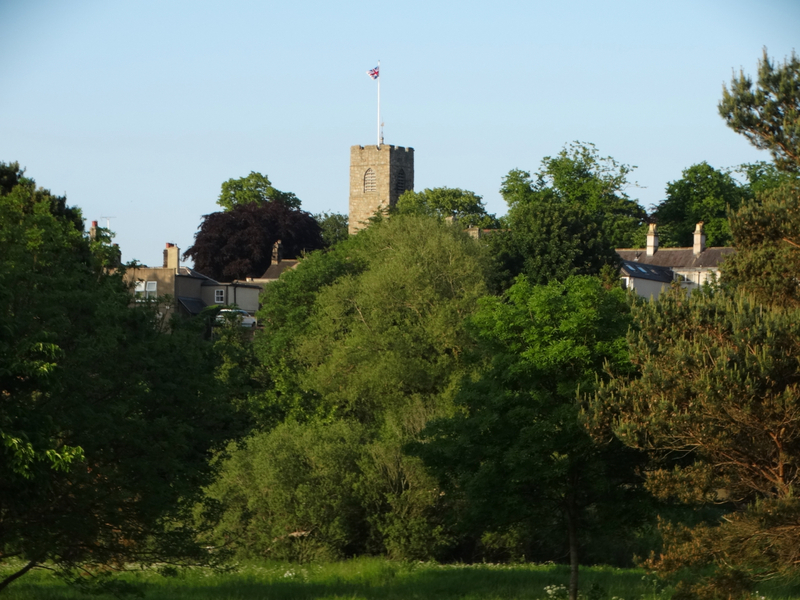 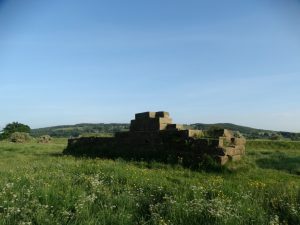 Presumably the bridge collapsed after Roman withdrawal – lack of maintenance or another flood – and stone from here was used in the Hexham crypt and Corbridge tower. 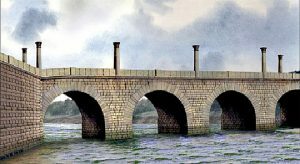 The Tyne was then crossed by a ford to the east of the current bridge, until 1674 when the bridge was built. The bridge is Grade I and is the only bridge which survived the 1771 floods.